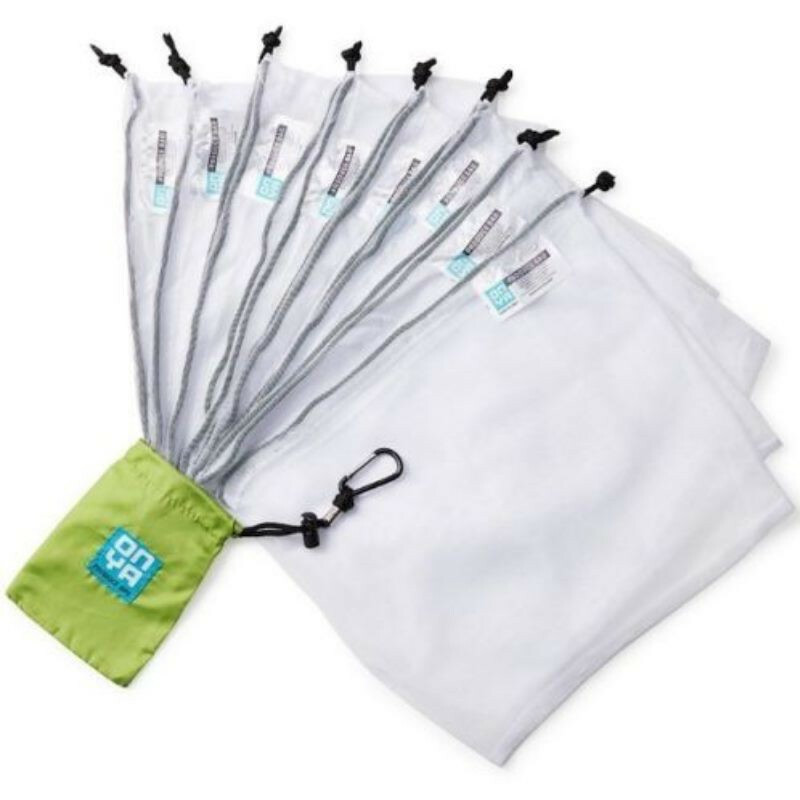 Convenient reusable produce bags to use when selecting and carrying your fresh fruit and veggies. The produce bags come in a colourful holder pouch making it easy to carry them to the shop. Our Reusable Produce Bags are an easy alternative for single use plastic fruit and vegetable bags when shopping. Crafted from special rPet fabric, our produce bags are made from recycled plastic drink bottles. With many people trying to attain a closer to zero waste lifestyle, our produce bags allow you to do your weekly shop without the need for single use plastic. Our very light but deceptively strong mesh bags can hold up to 2 kilos of produce and feature a gussett and drawsting tie. 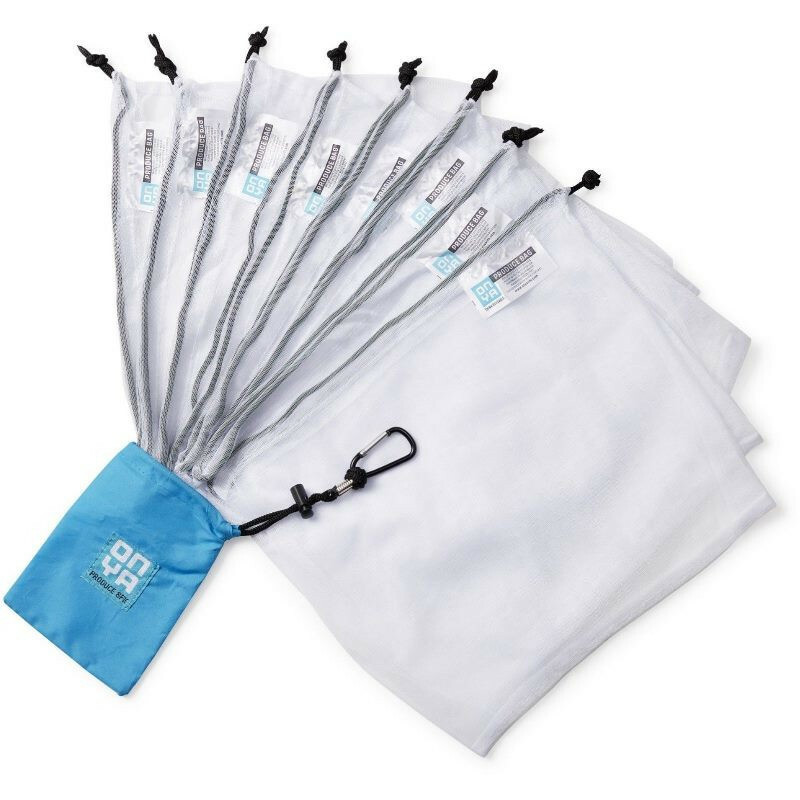 Weighing in at only 10 grams per bag, our reusable produce bags barely register on a scale and the see through mesh bags allow shop assistants to know exactly what is inside your produce bag at a glance. The bags let water/air flow through so you can use them to wash your produce before popping in the fridge, or simply hang them to keep fresh. 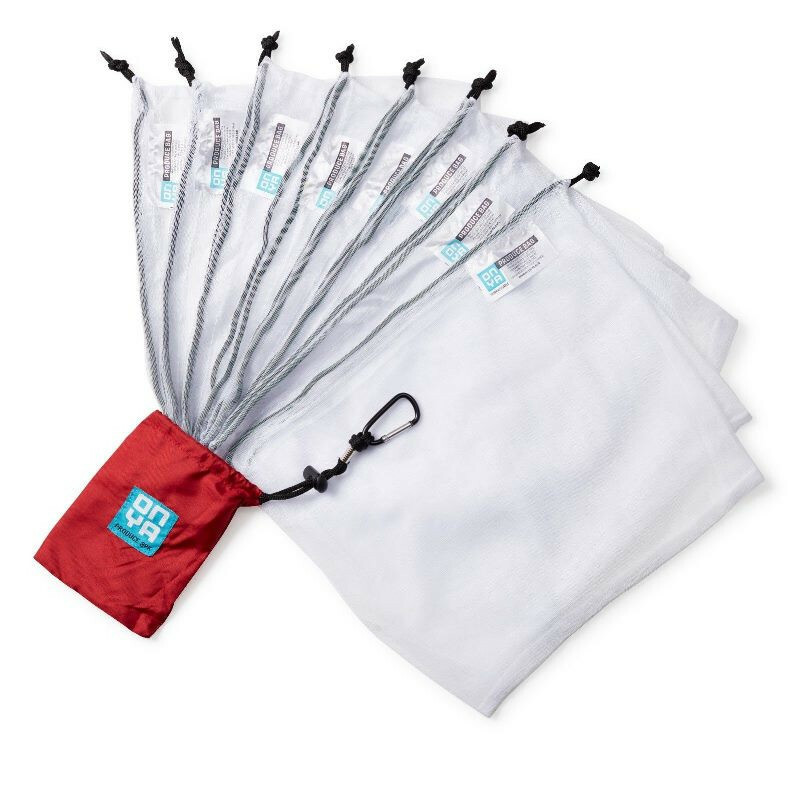 Our produce bags stuff down into a brightly coloured pouch the size of your fist when not it use and can attach to a belt or bag by way of it’s strong carabiner clip. Traditional single use plastic bags can also cause ‘sweating’ making the life cycle of your fresh produce much shorter. The open nature of the mesh bags allows your produce to ‘breathe’ which gives it a longer life. 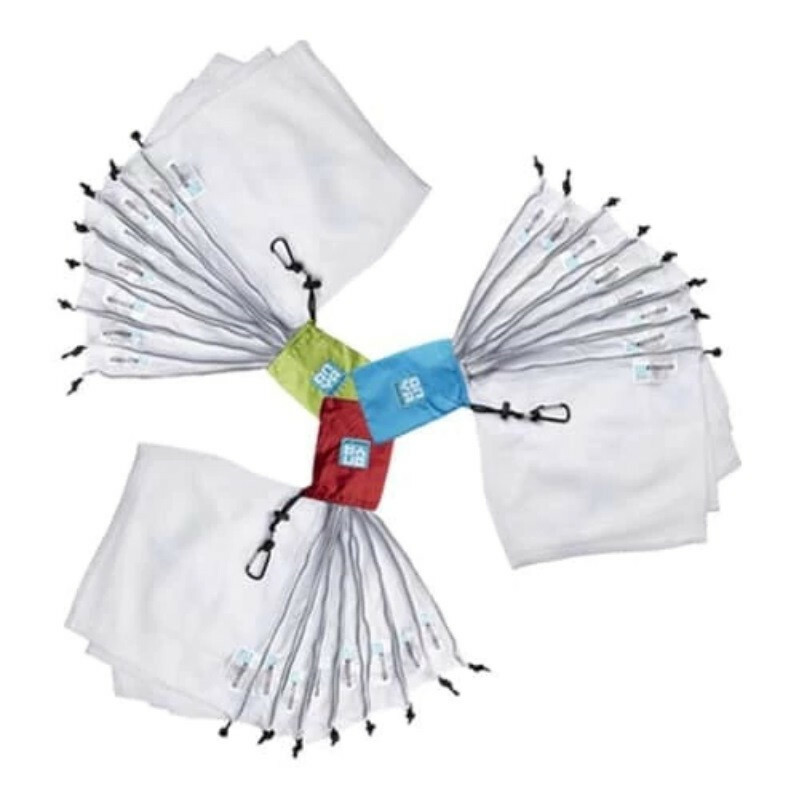 The bags can be washed simply with a cool water handwash when the need arises, or they can be put on a cool gentle cycle in the washing machine. At Onya, we come to work everyday because we want to make a difference. It seems as though every minute of every day we are bombarded with another ingenious way humans are damaging our environment. Quite frankly, it can all feel a bit doom and gloom and it can be hard to see just what to do about it, but we know there are many people out there like you and like us who want to create a good news story for our environment.